Attributed to Laotse (Lao-Tzu, Lao tse etc. 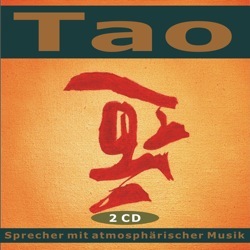 ), the Way of the Tao endeavor to articulate the core beliefs of Taoism and Chinese Buddhism. 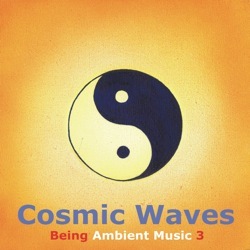 It is lyrical, poetic, elusive, yet simple, filled with pragmatic guidance for conscious living. The text is short, terse and very beautiful, its wisdom priceless, an inspiration for philosophers, poets, artists, politicians and religious leaders alike. Intensely philosophical and deeply mysterious, always hinting at a vast, deep, inner knowing beyond intellectual understanding. The Tao Te Ching or The Way and its Characteristics is the primary text in Chinese religious history. It dates from roughly 600 years before the birth of Christ and is second only to the Bible in its number of translations. 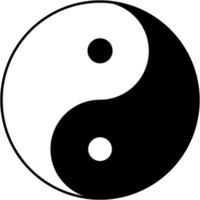 The Tao is timeless, its philosophy unbound by the then and now of fashion or fad. From classic Zen to the Chill-out trendy Zen and the self-help generation of today the Tao’s influence is hard to understate. I have personally been inspired by the Tao for much of my adult life, it has helped shape my meditation and yoga practice, and lifestyle. In the Tao I sense a strong resonance with the heart of Buddhism and no mind of Zen, with boundless insight into the nature of life and spirit that illuminates Yogic philosophy, as one can expect from a philosophy embodied in the universal holism of the yin-yang principle of all that is. Both are one in origin and different only through the name. the portal through which all miracles enter. It seems at ease, and yet it follows a plan. Though its meshes are coarse, nothing slips through. Tao is vast. Science can be included in it. Science is not vas, it doesn’t include Tao. Science is part of the vast mystery of life. The vast mystery of life is not science though – if you see science as part of life there is nothing wrong with that, but if you assume science is life you are misled because you see a part of life as the whole. The same is true for the intellect. The intellect functions as part of the whole, when the intellect claims that it is the whole, or knows everything, there is a problem. This is the view of the Tao. The Tao is not against the intellect. The yogi sees the intellect as sub-ordinate to the mind, to consciousness, to the whole. The thinking mind is limited. Who is the seer? Who knows? Not the thinking mind. The thinking mind thinks. The higher self, mind, spirit, knows, because “it is because it is”. Here there is no ego. No “I think therefore I am”. The reasoning mind covers only a small space, a small aspect of the being, it is finite in its calculations. The aware being is infinite, it is life itself, incomprehensible, mysterious, vast. Read my blog Tao Mind vs The Intellect. ● At the center of your being you have the answer. You know who you are. ● Respond intelligently even to unintelligent treatment. ● Kindness in words creates confidence. Kindness in thinking creates profoundness. Kindness in giving creates love. ● I have only three things to teach: simplicity, patience, compassion. These are your greatest treasures. ● A journey of a thousand miles begins with a single step. ● To love someone deeply gives you strength. Being loved by someone deeply gives you courage. ● When I let go of what I am, I become what I might be. ● Consider the world light and spirit is not burdened. Consider things slight and the mind is not confused. ● He who loves the world as his body may be entrusted with the empire. ● When you accept yourself, the whole world accepts you. Das Daodejing (chin. 道德經, Dàodéjīng) (ältere Umschrift: Tao Te King) ist eine Sammlung von Spruchkapiteln, die dem legendären Weisen Lǎozǐ zugeschrieben wird. Die Entstehungsgeschichte ist ungewiss und Gegenstand sinologischer Forschung. Ungeachtet weiterer Übersetzungen bedeuten Dào „Weg, Prinzip“ und „Sinn“, und Dé „Kraft, Leben“ und „Charisma, Tugend, Güte“. Jīng bezeichnet einen Leitfaden bzw. eine klassische Textsammlung. Die beiden namengebenden Begriffe stehen für etwas Unaussprechliches, auf dessen eigentliche Bedeutung das Buch hindeuten möchte. Aus diesem Grund werden sie auch oft unübersetzt belassen. Das Werk gilt als die Gründungsschrift des Daoismus. Obwohl dieser verschiedene Strömungen umfasst, die sich vom Dàodéjīng erheblich unterscheiden können, wird es von den Anhängern aller daoistischen Schulen als kanonischer, heiliger Text angesehen. Nichtsein nenne ich den Anfang von Himmel und Erde. Sein nenne ich die Mutter der Einzelwesen. ist das Tor durch das alle Wunder hervortreten.